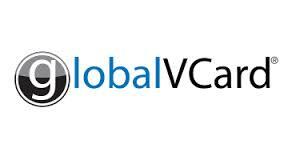 IPS announces its partnership with CSI globalVCard. The integration of globalVCard into the IPS Platform will futher automate the purchase-to-pay process and provide payment data to both accounts receivable and accounts payable trading partners. Teaming with globalVCard empowers IPS to enhance their payables solutions with an industry leading electronic payment system. Greg Bartels, IPS President & CEO, attended the IOFM AP & P2P conference in Las Vegas. As expected there were plenty of solutions being offered to improve accounts payable processes; however, of particular interest was the opening keynote by Dan Lier, Human Behavior Expert. In a rapidly changing world, we need to step outside of our comfort zone to keep up with the changes, not only in our business processes but in all aspects of our lives. IPS was honored to sponsor the MSO Educational Seminar which offered continuing education credits to Insurance professionals in NJ and PA.
IPS announces our partnership with IMS, a service provider for the magazine publishing industry. The partnership adds eTearsheets for magazines to the IPS Workflow solution for Print.